The Nano AT-5M-S 370'-Range Compact IR with Day/Night Sensor from AXTON synchronizes with your camera or other system device. Pulsed mode allows syncing with a camera shutter for industrial, machine vision, and ANPR/LPR applications. The illuminator transmits infrared light at a wavelength of 850nm to a range of 370'. The illuminator is rated IP67, vandal resistant, receives power via PoE, and includes a pan/tilt U bracket for simple installation. You can link multiple Blaze illuminators together to increase coverage. 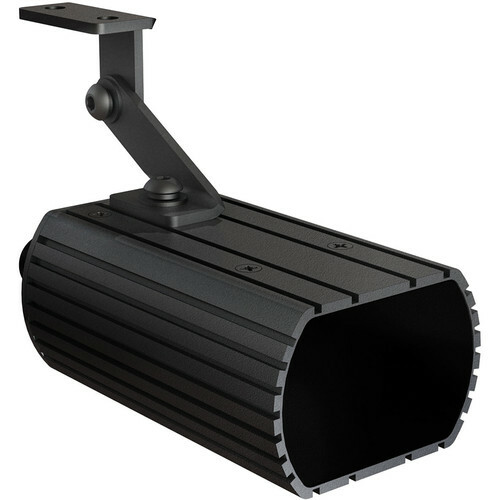 IR illuminators work with true day/night cameras that have removable IR cut filters. Box Dimensions (LxWxH) 5.9 x 5.4 x 3.35"